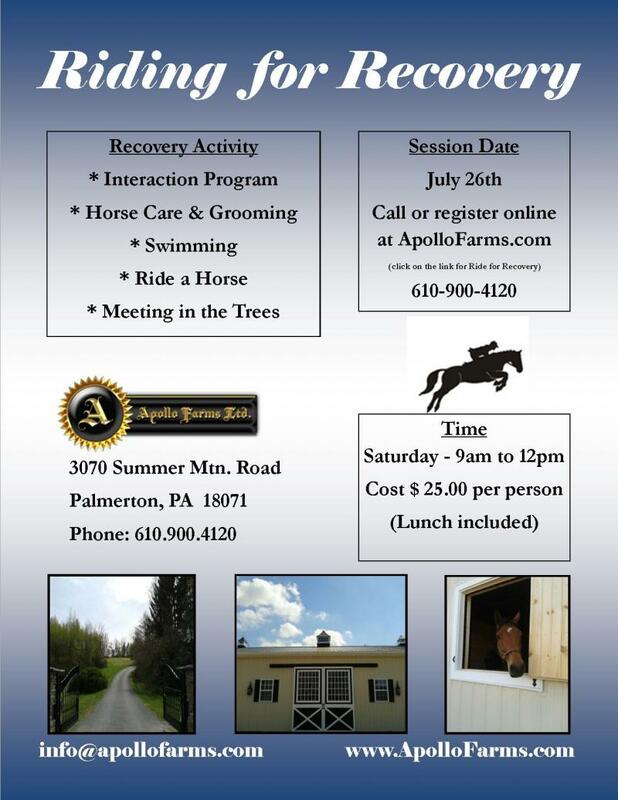 All participants in the "Riding for Recovery" activity will be required to sign a rider release agreement prior to the event. Please click HERE to view and print. This can be emailed to info@apollofarms.com or handed in the day of the event.